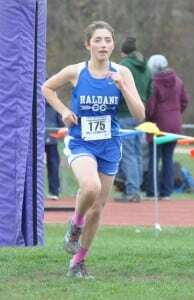 Run at 10:15 a.m. in front of a great crowd with a strong Haldane fan base, the first half mile played out with no surprises. All that would soon change. As the runners neared the end of Mile One, the expected order of finish was already in jeopardy. That was just the beginning of a tough day. 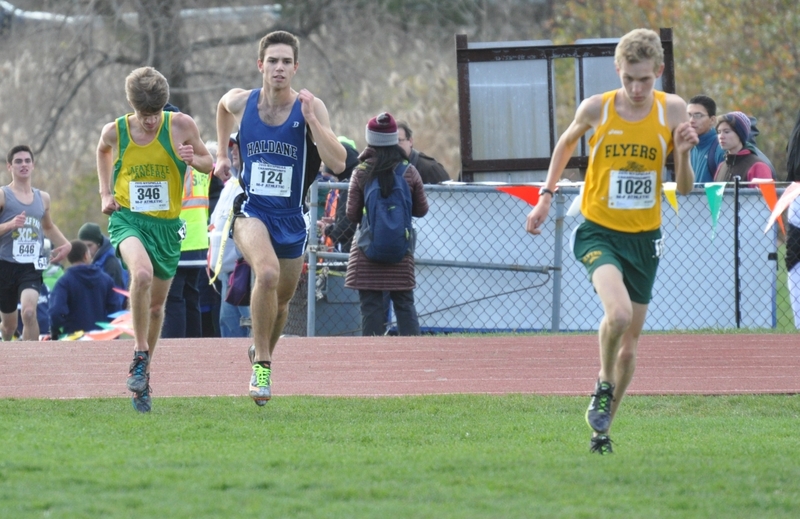 As it turned out, despite a slightly disappointing finish, the boys still finished fifth, a school best, including an individual ninth-place finish from Theo Henderson, who completed the 5,000-meter course in 17:07, a Haldane state meet record. He was followed by Adam Silhavy at 18:07, Kenney McElroy at 18:46, Nick Farrell at 19:38; Andrew Gannon was the last scoring Haldane runner at 19:46. Ellis Osterfeld and Jonas Petkus finished in 20:05 and 20:11, respectively. 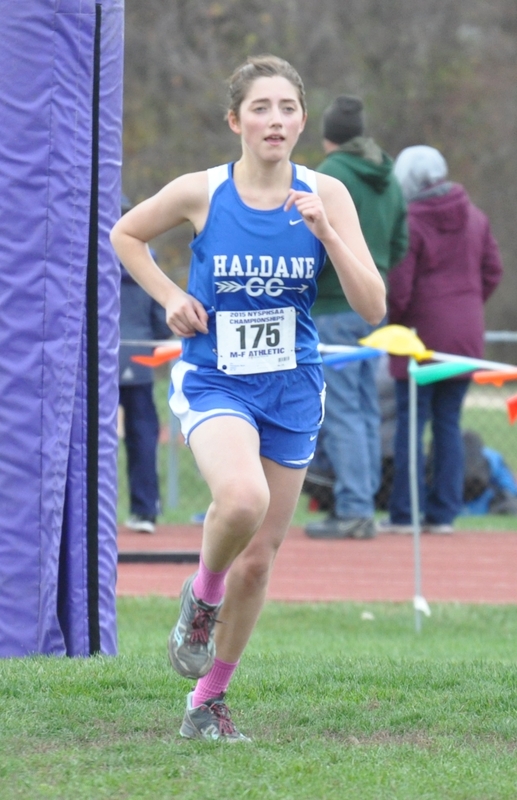 Team Captain Ruby McEwen once again led the Haldane pack, finishing 31st in 21:07. Taylor Farrell was second for the Blue Devils in 21:45, and Olivia McDermott, with a strong final 400 meters, edged out Heather Winne for third. McDermott ran a 22:37 and Winne a 22:47. Abbey Stowell ran 23:57 and won the final scoring spot for the second week in a row. 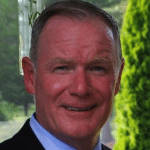 “When we really need her, Abbey always runs her fastest times,” Locascio said. Rounding out the final seven, Wylie Thornquist ran a 24:11 and Meghan Ferri ran a 24:42. With only Wylie Thornquist graduating this year, the girls’ team is in great shape to move up a few notches in 2016 should it return to the state meet.